Fluorescent lighting is one of the most popular examples of an artificial light source. It is commonly used to light large rooms or commercial spaces. Most offices, retail stores, commercial buildings and even some of the rooms in your home use this type of lighting. Fluorescent bulbs come in a variety of shapes, including U-shaped and linear, and are available in single, double and 4-pin options. The compact fluorescent light bulbs (CFLs) are ever-popular and come in a variety of sizes and shapes to easily replace your old incandescent bulbs. From there, you can choose the bulb's color (which is based off of the temperature), including a warmer, yellow light, a cool, blue light, a neutral color and a color that resembles natural light. Fluorescent bulbs differ from incandescent mainly in how the light is created. In fluorescent bulbs, light happens due to an electrical current traveling through a charged gas. There are a variety of advantages to using this type of lighting. Fluorescent lights use 20-40% less electricity than incandescent bulbs, making them an energy-efficient alternative (the CFLs mentioned above are reported to use 75% less energy than a regular incandescent bulb). They are an easy and inexpensive way to help the environment and reduce your energy costs. Fluorescent bulbs also last longer, so they are a great investment and you will find yourself replacing them less often. Due to their popularity, you can find fluorescent lights in a variety of sizes and styles, including contemporary fixtures for your living room or kitchen or large ceiling fixtures for your office. The bulbs are offered at a variety of retailers as well- even at drug stores and supermarkets. A downside to fluorescent lights are that some of the bulbs are not compatible with certain fixtures in your home. It's important to look into this before purchasing your bulbs, since you may need to change the fixtures for them to work. The two common types of bulbs are a screw-in design or a pin-based design. Another negative aspect is that fluorescent bulbs contain mercury, so you can't dispose them in the trash. Mercury can cause health, safety and environmental concerns, so it's important that you handle them and dispose of them properly and carefully. You have to follow safety precautions as well with this type of lighting, including making sure the ballast does not overheat or leak, being careful when a bulb breaks and taking into consideration the presence of possible PCBs in the bulbs. p>Installing the proper lighting in each room in your home is an important part of any remodel. While some existing lighting fixtures may be adequate enough, each room can benefit from a different type or amount of lighting. Lights that are well-positioned and the right type for the setting can change the entire aesthetic and functionality of your home. Here are some tips for how to light each room of your home. Kitchen– The kitchen is one of the rooms that requires the most precise lighting. Practical lighting is best (such as spotlights or ceiling lights), since it will produce the right amount of light upon the work surfaces like the stove top and counters. Additional task lighting near areas where you will be preparing food is helpful as well. One basic light in the middle of the kitchen most likely won”t be enough for all of the work you”ll be doing in there- you”ll need a good mix of lighting for this. 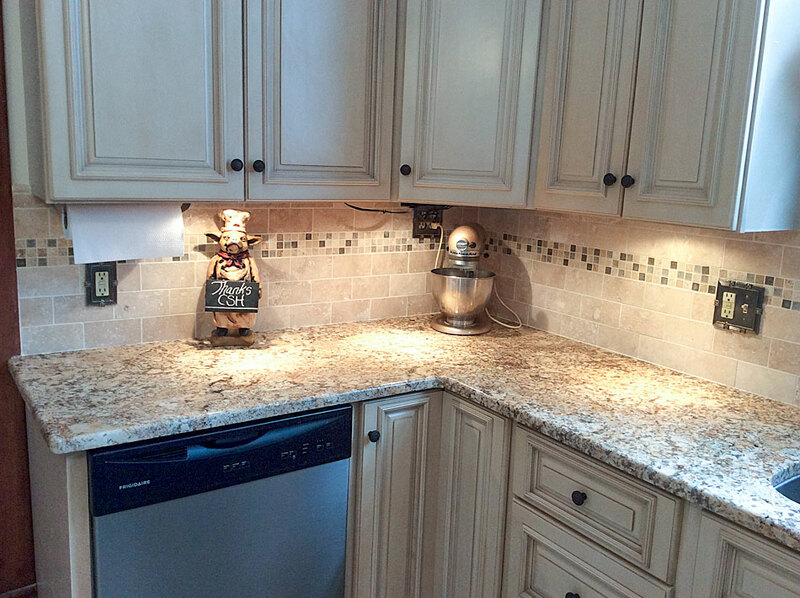 Installing lighting over the cabinets will make them look higher by expanding the space above them. Most kitchens use incandescent (a hint of yellow) and fluorescent lighting (whiter) for the general lighting needs. Bathroom– This type of lighting depends on how you use your bathroom and how large the space is. The light must be bright enough for grooming (shaving, applying make-up and styling your hair), but shouldn”t be too harsh or cold to conflict with the relaxing atmosphere. Task lighting will provide enough for all of your grooming needs. Usually a bathroom mirror or cabinet fixture with ample lighting works well for this. Spotlights will light up the rest of the space, which comes in handy when using the shower and toilet. If your bathroom has a nice window with ample sunlight, you may not need to install as many lights. If you are without a window or it doesn”t get enough sunlight, add ambient lighting, which fills in as a substitute for natural light. Living room- A dimmer is a great option for the living room, since you can control the amount and level of lighting. For example, if you”re watching a movie, you may want the lights to be dim, but if you “re reading a book, you”d need more adequate light to see what you”re reading. The proper amount of light also helps reduce eye strain that is often caused from light that isn”t strong enough. You can also put table lamps and floor lamps near the end tables and seating to add extra light for any activities your family will be doing. This way, each person can adjust the lighting to fit their specific needs at the time. If you have a special painting, sculpture or space you would like to highlight, add accent lighting to give it extra attention. Bedroom– Each bedroom can feature a different amount and source of lighting depending on the person, but overall small lamps at the bedside are necessary for reading and other activities. Bedroom lighting should be gentle and ambient, not too harsh or bright. A light in the center of the room usually provides enough light for anything non-task related. Installing lighting in your closet (such as lighted closet rods) will make picking out your clothes much easier. Windows can provide lots of natural light, so position your bed and other furniture in relation to that. Entrance– Since the entrance to your home is ultimately the first thing guests will see, you want the lighting to be warm and inviting. Choose soft, diffused lighting like a chandelier or wall lights. Choose a detailed or more expensive piece for this area of the home since it will be seen the most often. Placing lights on the outside of your home/front door area is another way to make your home appear more inviting as well. One of the most important parts of your home is the lighting. A properly-lit room gives a warm and welcoming feel, allows you to perform specific tasks and even acts as a design element. There are four main types of lighting that are commonly found in homes- ambient lighting, task lighting, accent lighting and decorative lighting. Ambient lighting– This type of lighting, also referred to as general lighting, fills your entire room with light rather than having it in one particular spot. This allows for an even, comfortable level of brightness. This diffused light provides an overall illumination that works in practically any room in your home. Common examples of ambient lighting include ceiling lights, paper lanterns, wall sconces, floor lamps and dimmers. Task lighting– Just like the name says, this type of lighting is used for a specific task and area that requires extra light (which ambient lighting cannot provide). Examples of common tasks this lighting can be used for include reading, applying makeup and cooking. This type of lighting helps to keep your eyes from getting tired. Some popular forms of task lighting include desk lamps, appliance lights and specialty items- such as a lighted closet rod. Accent lighting– This type of lighting creates a visual interest by drawing the eye to a particular space or object in the room. It is often used to highlight a painting, sculpture or houseplant. Sometimes referred to as directional lighting, accent lighting adds drama to an otherwise bland space. Popular examples of this type of lighting include halogen spotlights and table lamps. Decorative lighting– This final type of lighting is used for design and aesthetic purposes. These lighting fixtures draw attention to themselves and add character to your room. Decorative lighting needs to be used in conjunction with other forms of lighting, since it is mainly used for decorative purposes and not to provide adequate light. Examples of this type of lighting include chandeliers and wall sconces.